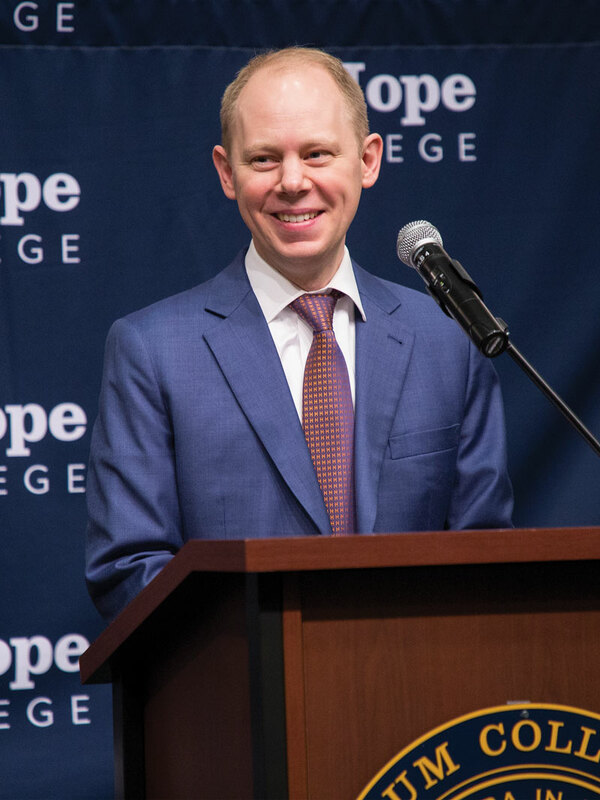 It is telling that when Matthew A. Scogin ’02 spoke to the college’s staff in November as a presidential candidate, the crowd that packed the room seemed ready to stand up and cheer. 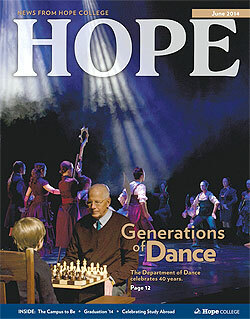 His heartfelt understanding of, and appreciation for, Hope had that strong an effect. 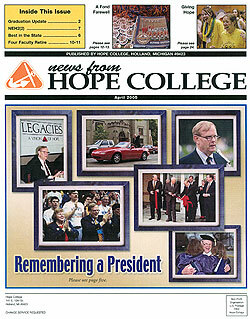 Scogin, subsequently elected the college’s 14th president by the Board of Trustees in December, also readily acknowledged that in one obvious respect he was an unusual choice: His career hasn’t been in higher education. 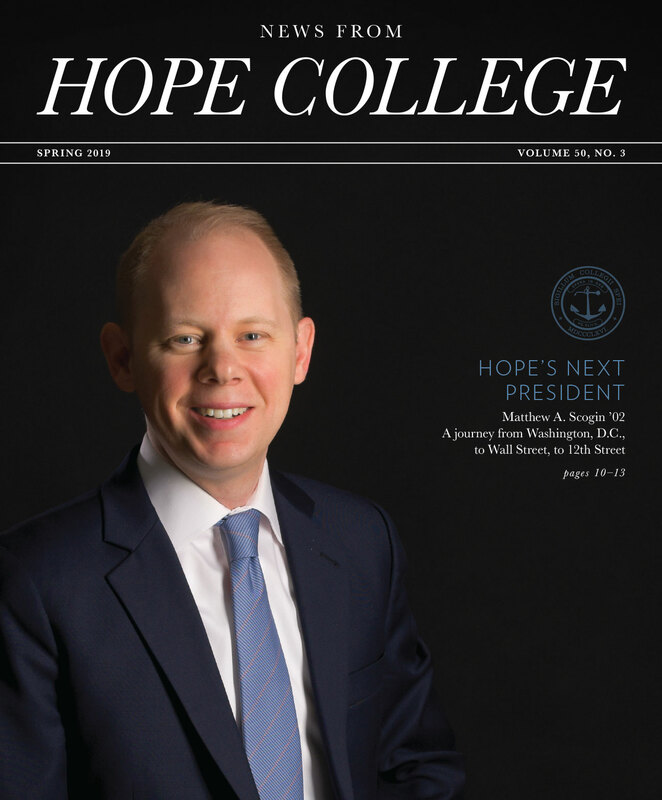 He is currently chief administrative officer at the global financial advisory firm of Perella Weinberg Partners in New York City, and had previously held senior positions with both the New York Stock Exchange and the U.S. Treasury Department. 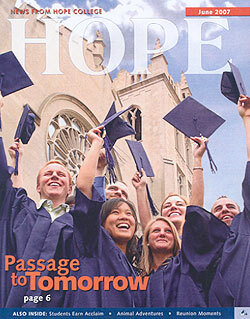 That’s not the trajectory through the academy that typically culminates in a college presidency. 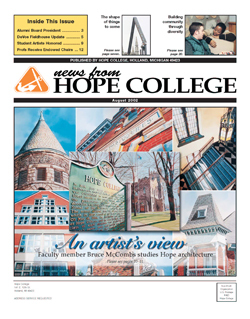 Scogin was selected following an international search that yielded applicants from around the country and abroad, including presidents and senior administrators at other colleges and universities as well as in other professional fields. 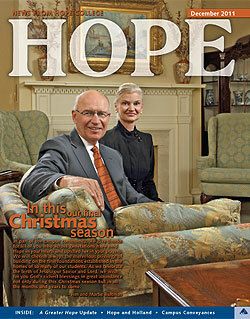 His experience as an innovative leader, coupled with his passion and vision for the college, made him the clear choice. 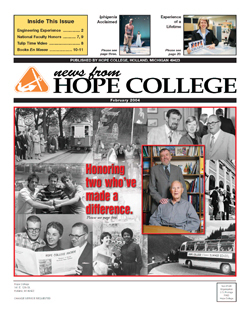 He also comes to the office familiar with the needs and challenges facing Hope and higher education, having served as a member of the board since 2016. 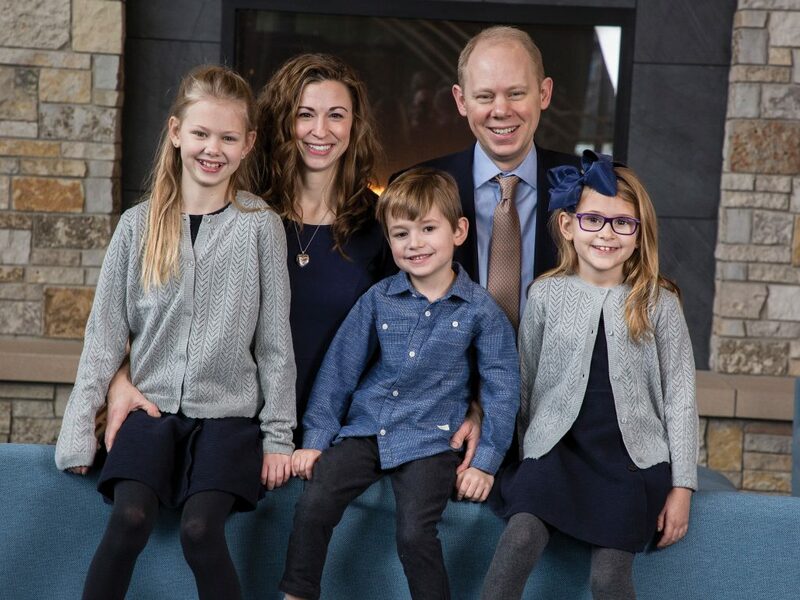 Scogin has been with Perella Weinberg Partners since 2014. 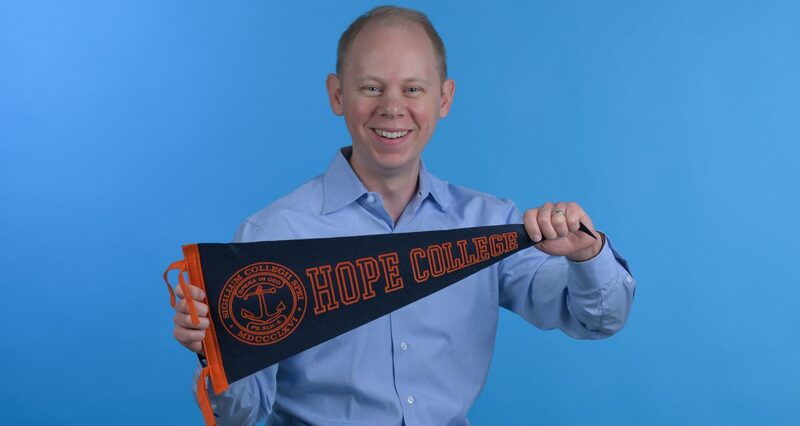 He oversees operations, strategy, corporate services, human resources and communications at the firm, which has 11 offices around the world. 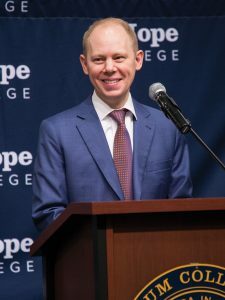 Prior to his current position, he was at NYSE Euronext, where from 2009 to 2014 he served as the senior vice president and chief of staff at the 3,000-person company that ran the New York Stock Exchange and five exchanges in Europe. 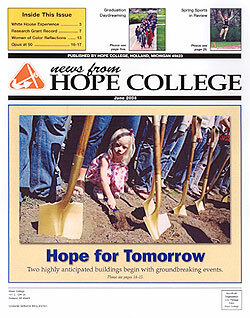 During 2008 and 2009, he was chief of staff and senior adviser to the CEO of Wachovia Bank, at the time the nation’s fourth-largest commercial bank. 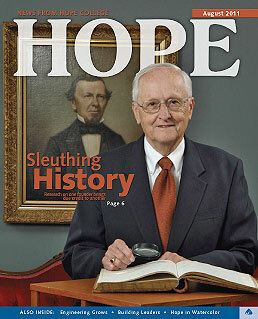 Before joining the corporate sector, Scogin occupied several senior roles in government. 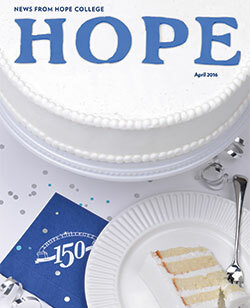 From 2006 to 2008, he was the senior adviser for domestic finance at the U.S. Department of Treasury, where he counseled the secretary of the treasury and undersecretary of the treasury on a broad range of economic and financial policy matters. 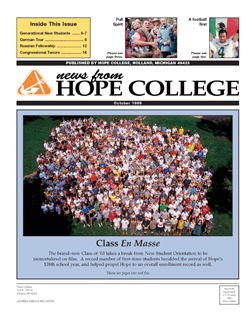 In 2006, he served as a fiscal policy adviser to the governor of Massachusetts; from 2002 to 2003, he was the legislative director for a Michigan state representative; and during 2001, while participating in Hope College’s Washington Honors Semester, he held an internship at the White House. 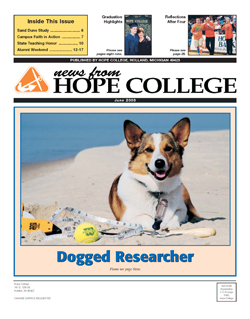 Scogin majored in political science and economics at Hope, where he was Student Congress president during his senior year, and has a master’s degree in public policy from the Kennedy School of Government at Harvard University. 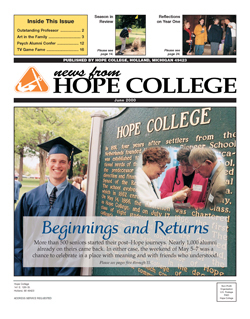 After finishing graduate school, he spent a year in Germany as a fellow with the Robert Bosch Foundation studying unemployment and labor market policy. 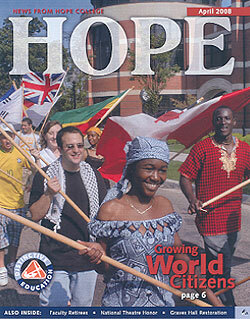 He has published several articles on issues related to public policy and finance. 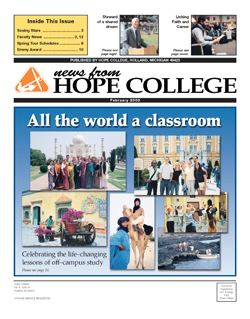 He received the U.S. Treasury Department Exceptional Service Award in 2008, and was one of 19 leaders in New York City to be named a David Rockefeller Fellow by the Partnership for New York City in 2013. 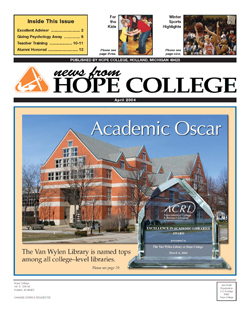 Hope recognized him with a Young Alumni Award in 2014. 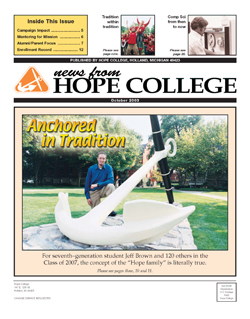 He is married to Sarah Dieter ’02 Scogin, who majored in music and computer science at Hope and subsequently completed a master’s degree focused on artificial intelligence from the engineering school at the University of Illinois. 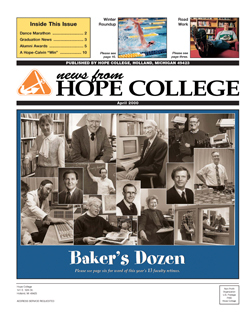 She worked for 10 years at BAE Systems (formerly British Aerospace) and then in cybersecurity for Goldman Sachs. 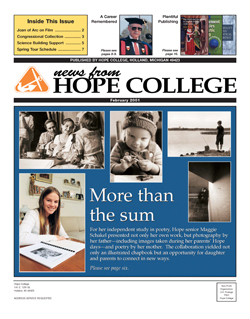 For the past two years, she has been at home full-time with the couple’s three young children, Sophie (10), Lucy (8) and Oliver (6). 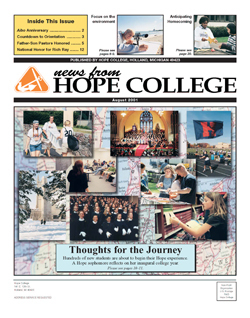 Looking ahead to when he assumes his new role in a few months, Scogin is looking forward to working with the Hope community in developing specific plans for his tenure. 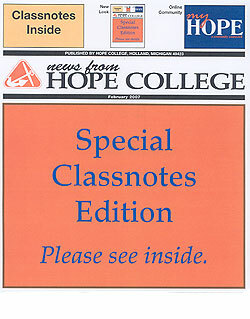 But there are two needs that already lead the list. 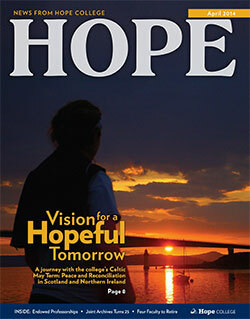 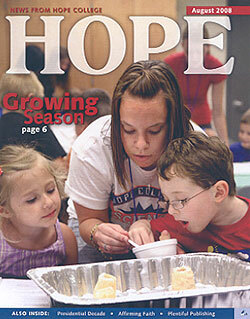 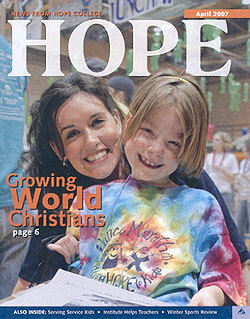 Hope, he emphasizes, is not alone in navigating difficult waters. 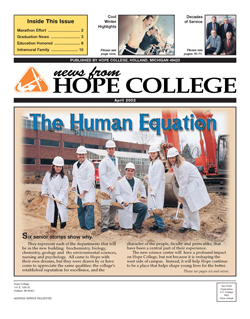 It was the larger context in particular that guided the board in looking outside higher education when making its selection. 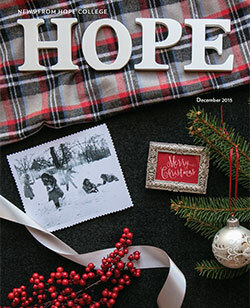 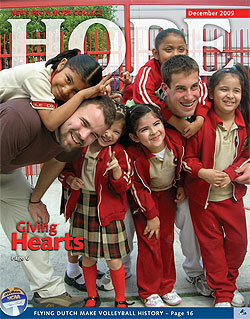 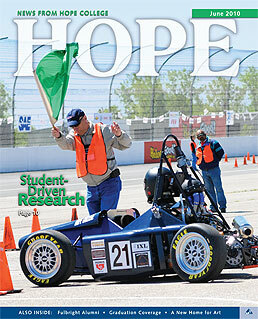 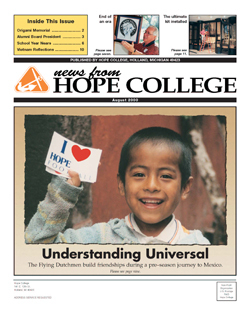 Scogin, in turn, is eager to apply his unique combination of experiences on Hope’s behalf. 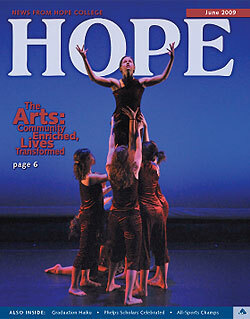 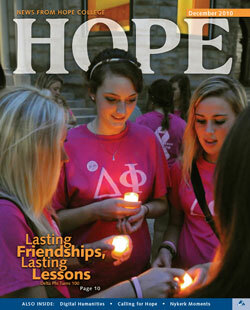 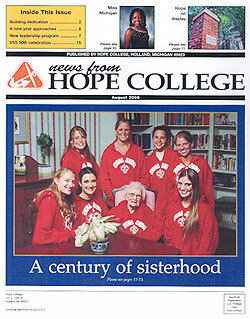 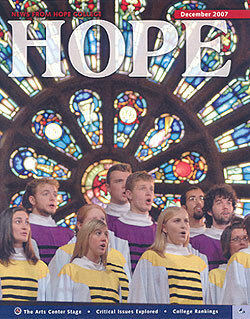 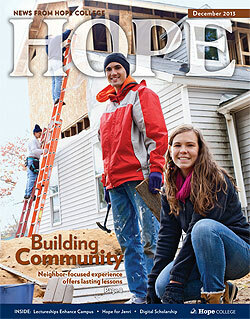 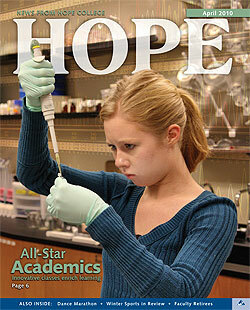 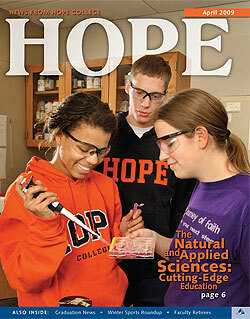 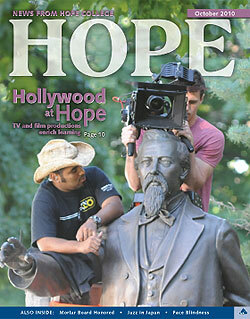 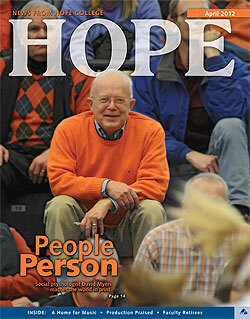 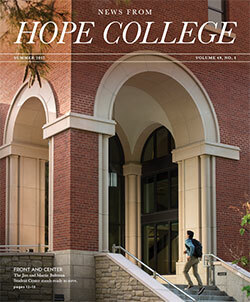 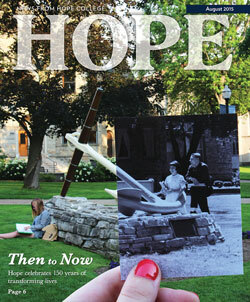 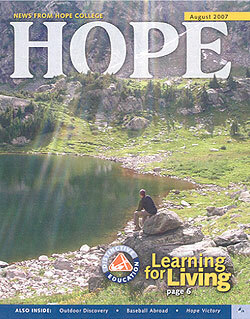 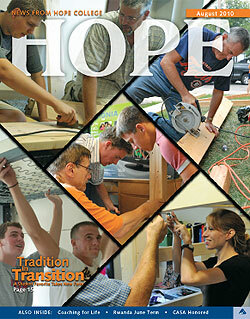 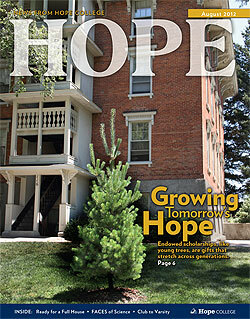 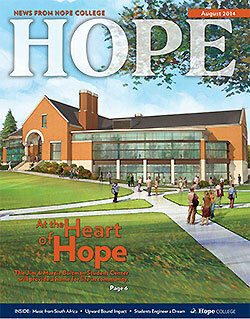 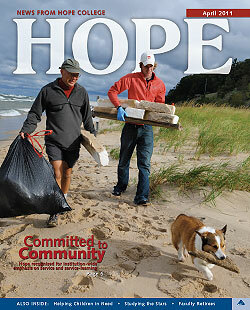 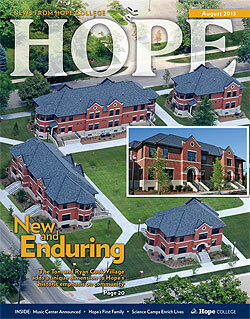 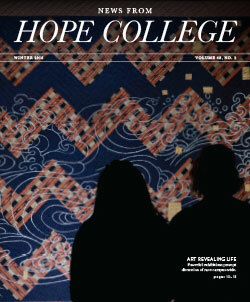 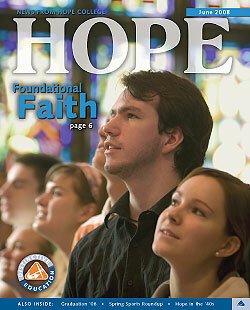 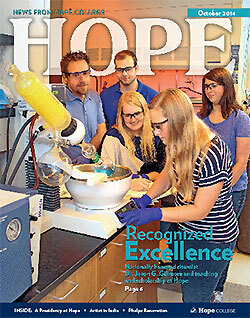 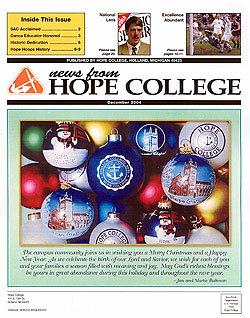 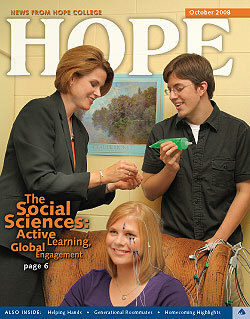 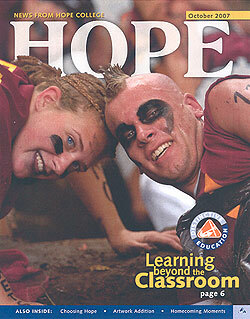 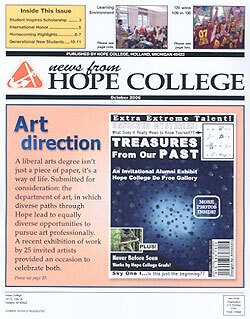 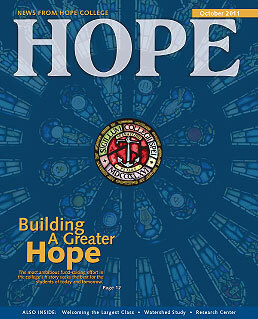 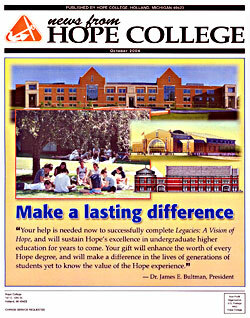 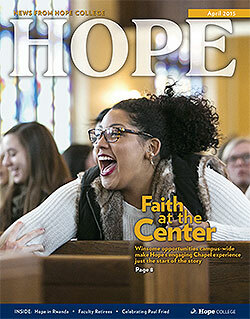 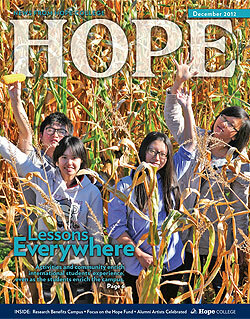 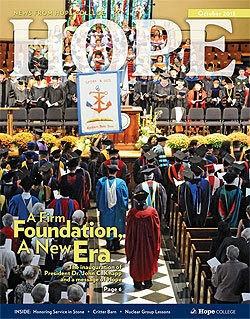 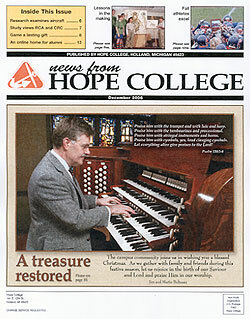 Hope has an advantage, he noted, in itself serving students and society as no other college or university does. 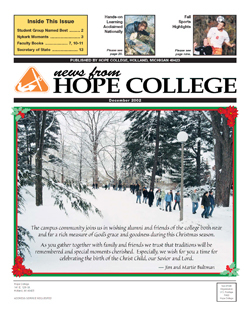 Please see the “Quote, unquote” column on page six for Sophie Scogin’s introduction of herself and her two siblings during a campus reception for the family in December. 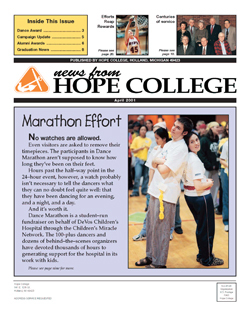 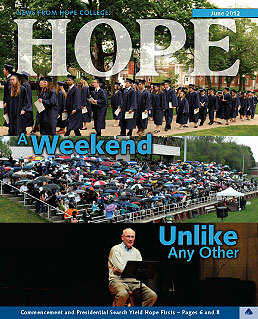 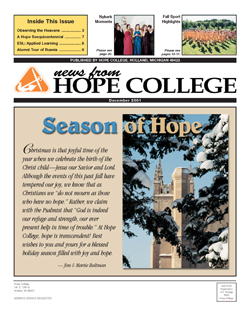 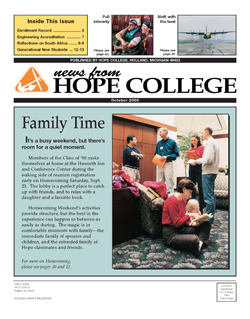 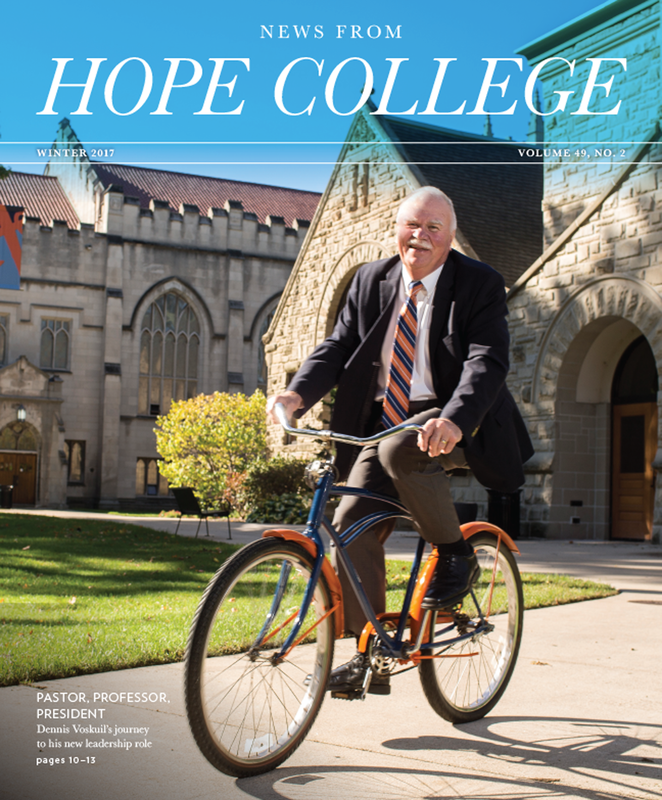 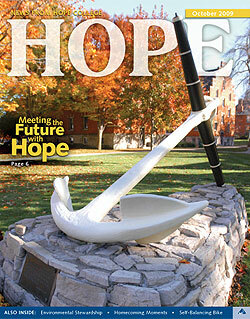 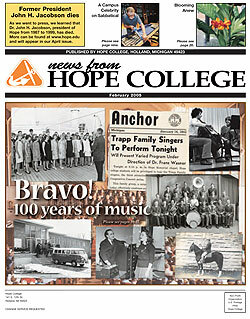 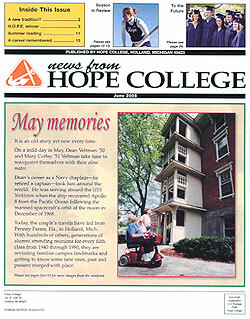 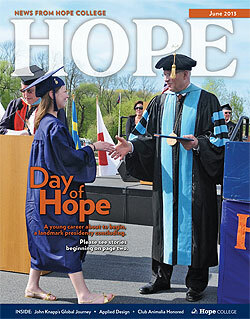 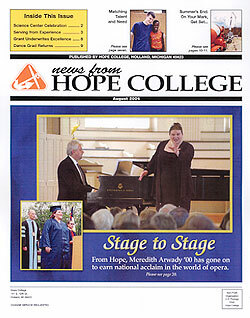 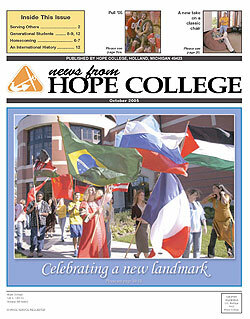 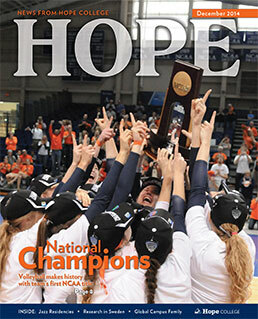 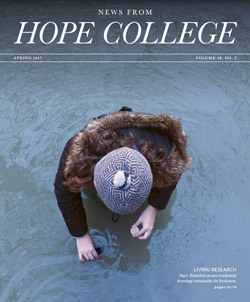 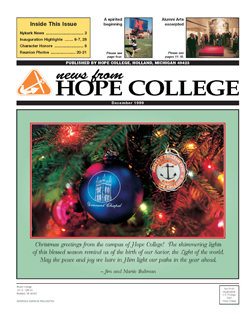 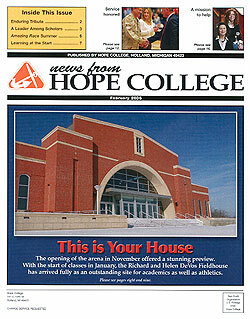 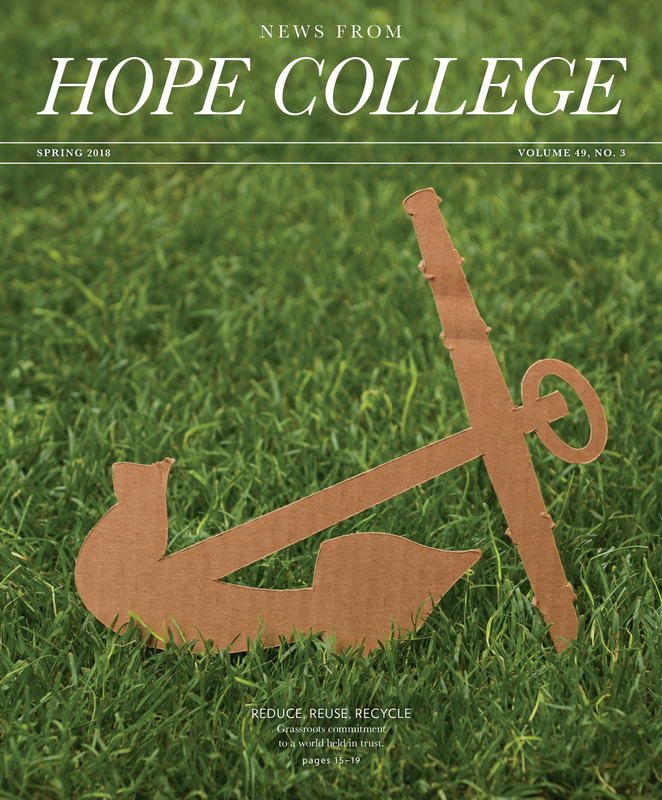 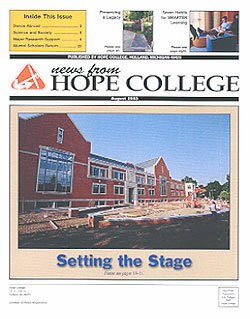 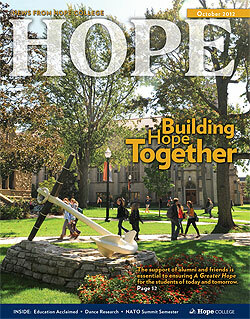 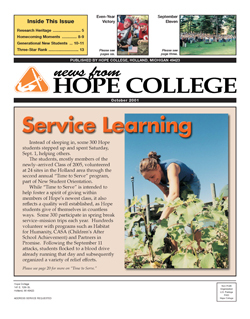 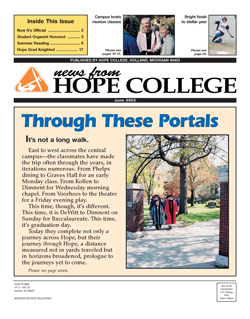 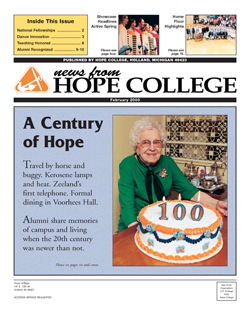 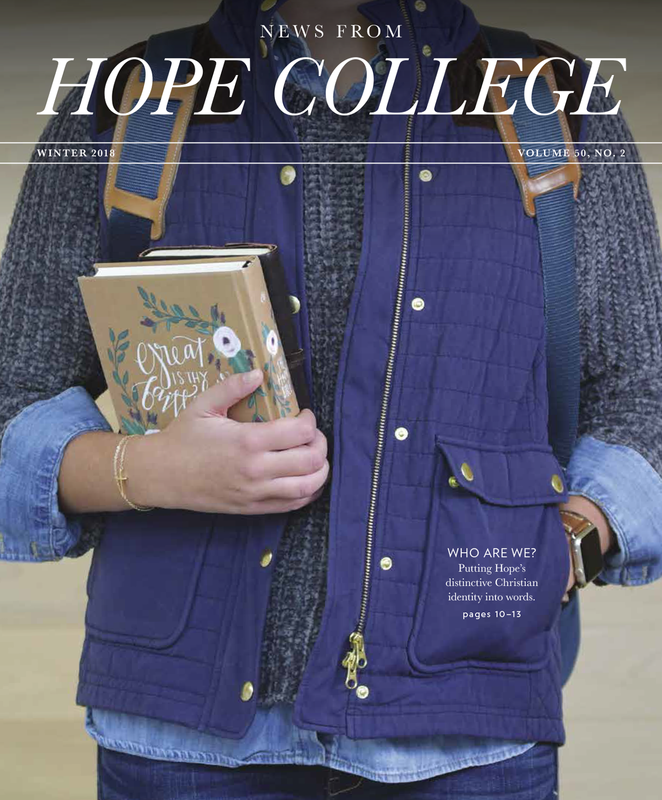 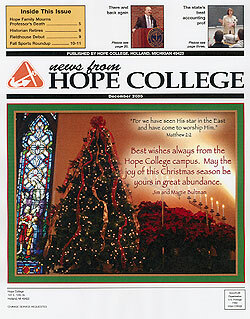 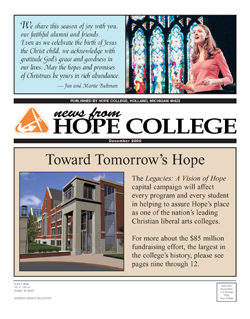 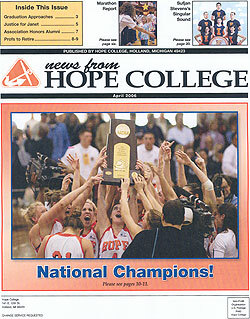 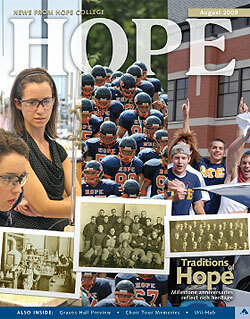 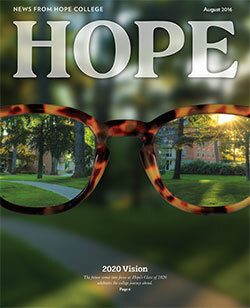 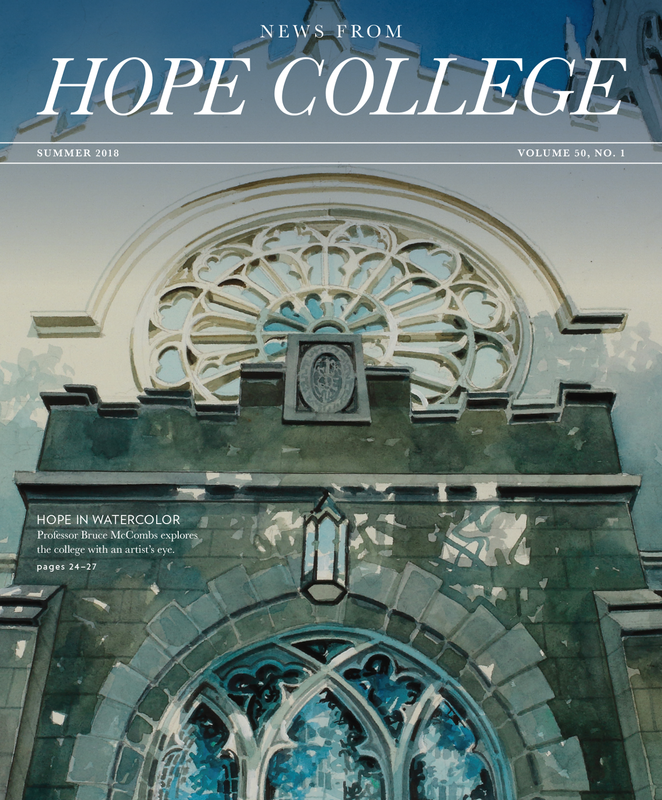 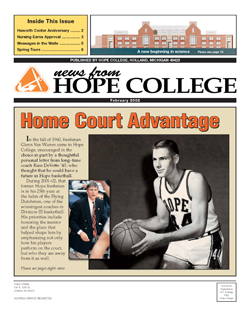 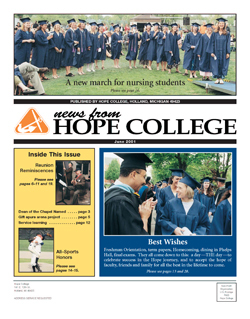 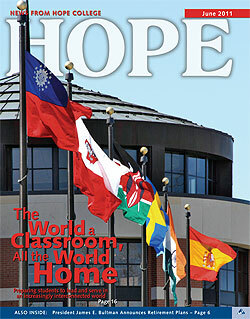 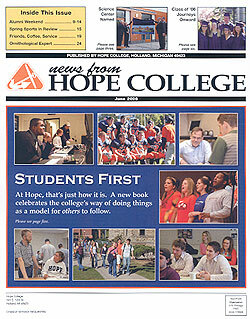 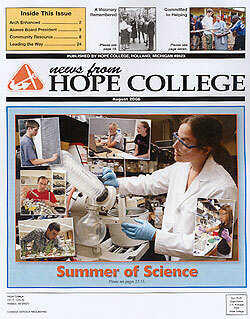 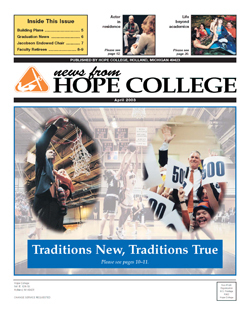 Please look in the Summer issue of News from Hope College, which will be published in August, for details about the presidential inauguration, scheduled for Friday, Sept. 13.